Though it’s relatively small, Incase’s Pathway Field Bag is officially going to be my new favorite bag. Why? It’s stylish, can fit a phone, tablet and computer (plus other accoutrement), and is compact enough to go just about anywhere with me. The Pathway Field Bag is a single strap vertical backpack, which is great for anyone who likes to carry just the essentials. It’s made of cotton twill fabric, with various leather accents on the strap and the magnetic fold-over clasp. Inside the main compartment, you’ll find a laptop sleeve that can hold up to a 13-inch MacBook Pro and a small zippered pocket. The bag also has sleeves on the front and the back for extra papers, a tablet, etc. along with both zippered and non-zippered pockets within that front sleeve. If you carry photography equipment, at least anything bigger than a point-and-shoot, this isn’t the bag for you. As I said before, you can bring your laptop, tablet, a notebook, and some other papers and small things in the Pathway Field Bag, but any more will bulk the bag out to the point of discomfort. Specific measurements are 16in x 10in x 3.5in. What I love most about the bag is that it looks like something you’d buy at a Kenneth Cole or Lucky, yet has all the great quality of Incase’s gadget bags. After carrying it around for a while, I find the bag to be super comfortable and it met all of my daily needs. Even so, I wouldn’t take it to a conference or use the bag for school. Carrying more than one book in this bag would be a pain, and it doesn’t have enough room for a nice camera or workout clothes. It’s more of an everyday bag for the urbanite. The price is a bit high, at $169.95, but I think this will become a go-to bag for any who choose to purchase it. Recommended. 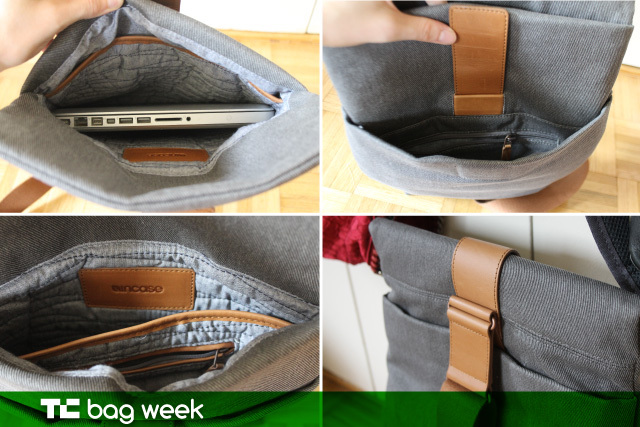 The Range Messenger is a bag designed to fit a 13-inch MacBook. 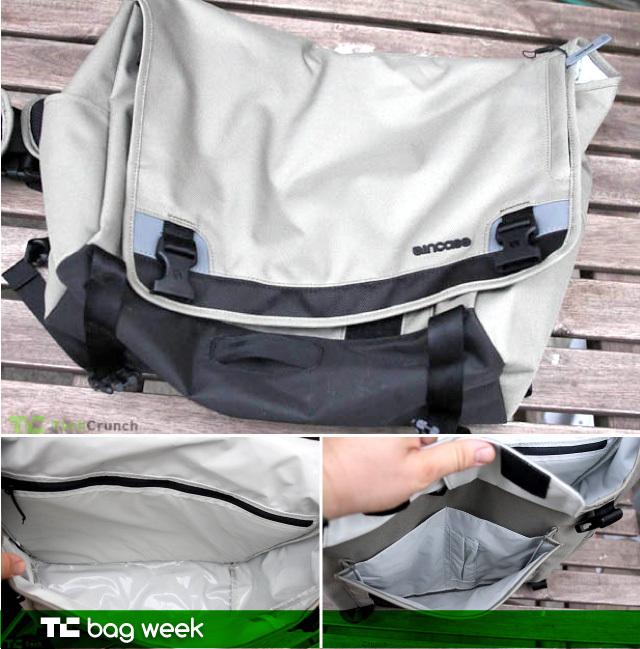 It’s made of grey ripstop material and the inside is waterproof tarp to keep your hardware from getting wet on the road. The bag is quite large, especially for the advertised sizing. At 9.9” x 16” x 4.5” you can feasibly fit a few laptops in there at once or a laptop and a bunch of books. It has a large, thick strap with dual pads and a Velcro/snap combo front closure. On the messenger side we have the $90 Range Messenger. I’ve definitely seen better messengers in this price range although this model is considerably less “sloppy” than others in the range. 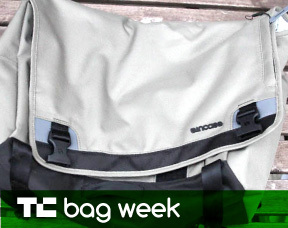 It holds its shape well and the main pocket is well-waterproofed. While I wouldn’t recommend it outright, if you’re looking for something for a bike commute or carrying lots of gear around town, this is something to consider.